A traumatic brain injury can be one of the worst injuries a person can have because it changes a person’s life. Symptoms can range from headaches and dizziness to lost memory and cognitive impairment. Other effects may include irritability, change in sleep habits and mood, sensory deficits, communication difficulties, and motor skills complications. 230,000 people are hospitalized and survive. 80,000 to 90,000 people experience the onset of long-term disability. As the cumulative result of past traumatic brain injuries, an estimated 5.3 million men, women, and children are living with a permanent TBI-related disability in the United States today. 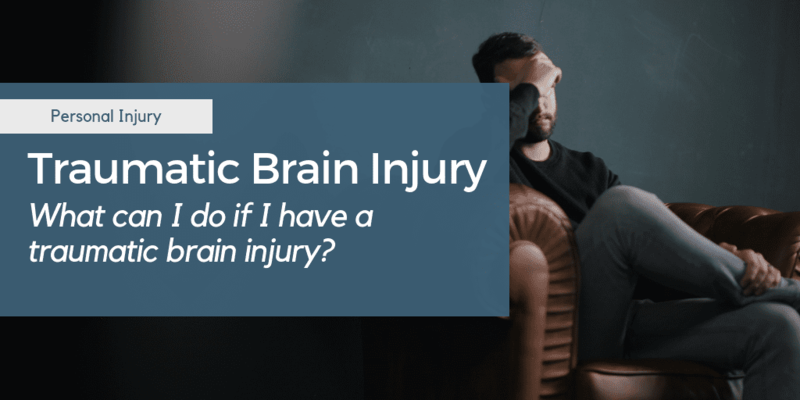 These types of personal injury may be caused by severe head trauma or even a minor whiplash event in which the brain rapidly accelerates and decelerates inside the skull. You should always see a doctor to get the medical care you need as quickly as possible. Your doctor can counsel you on the best treatment for this injury, but if your injury has been caused by the fault of someone else you may need a qualified lawyer to help. The firm will thoroughly investigate your claim and identify all sources of potential recovery. The firm will use a network of medical and engineering experts that can help present your best possible case to the insurance company and in court. That’s right…if needed a firm should be well-prepared to take your case all the way to trial – and that is what the insurance companies need to know so that you can get the best possible resolution. Andy Stein, a partner with our firm, has over ten years’ experience litigating and trying cases involving brain injuries. Before joining SeiferFlatow, he worked for the large insurance companies that defended these matters and tried to limit a victim’s right to full and fair compensation. He knows the game they play, and he is prepared to help you overcome it. Let us know if you need help with your situation.